The EP-MA03 features 4 massage balls replicating the hands of a massage therapist – soothing pressure is accurately applied up and down the sides of the neck and spine, to provide relief in the most common areas prone to stiffness and accumulated tension. The EP-MA03 features an airbag circulation system for a more complete, contoured lower body massage including:, a kneading and loosening of the shins as well as both the side and back of the calf muscles, an upward pressure is applied using four airbags for ultimate relief. 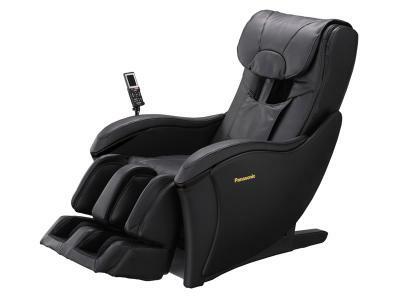 Alternating foot massage with air cushions for a realistic and soothing massage experience. The EP-MA03 heats up soles to alleviate stiffness, using the soothing pressure of shiatsu nodules to manipulate and loosen tense, aching feet.